Moving picture technology has always moved at an accelerated rate, even during its infancy. Max Skladanowsky is a perfect example. His Bioscope was the state of the art in flickering images, until the Lumière Brothers introduced something better—a few weeks later. Wim Wenders and his students from the Munich Academy for Television and Film tell the Skladanowsky family’s story with the sort of hand-cranked technology the Skladanowskys would have used in the hybrid documentary A Trick of the Light, which kicks off its first legit U.S. theatrical engagement this Friday at the IFC Center as part of the ongoing Wim Wenders: Portraits Along the Road retrospective. 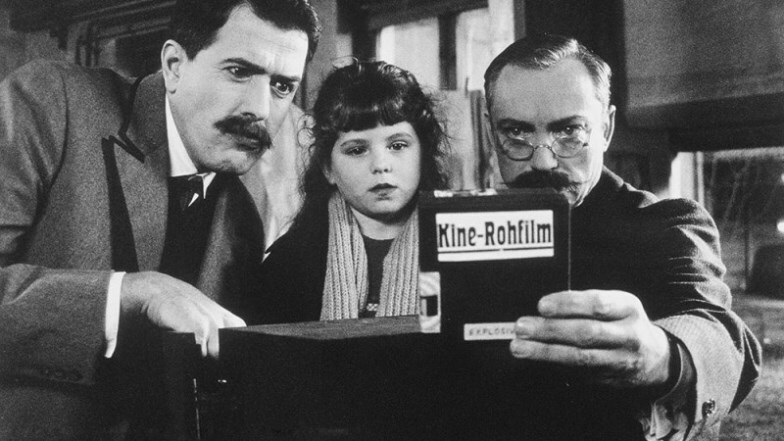 When Wenders and his student-crew interview the ninety-one year old Gertrude Skladanowsky, they are talking to motion picture history, but it was her older sister Lucie who really witnessed the Bioscope’s short reign first hand. She was raised by her father Max and his two brothers, Eugen and Emil, whom she adored. Their vaudevillian family is scuffling, but they have high hopes Max’s tinkering will lead to something. When he finally gives Berlin’s leading impresarios a sneak peak, they are impressed enough to book the Skladanowsky Brothers for a grand premiere at their Wintergarten Theater. The better part of the stylized, herky-jerky dramatic recreations are devoted to the various acts they film and the stressful circumstances surrounding their big night. Yet, the tone is always bitter sweet, since we know from the start their Bioscope will soon be rendered obsolete by the Lumières. Still, it seems they remained rather enterprising to judge Gertrude’s reminiscences. Far from a conventional talking head interview, her sequences are “haunted” by the rebellious ghost of Lucie, played by the same young actress, but they cannot upstage the nonagenarian’s sense of humor and history. In terms of its visuals and atmosphere, Trick is probably Wenders’ most Guy Maddinesque film, especially considering Udo Kier appears Max Skladanowsky, somewhat playing against his usual creepy type (it would go particularly well with The Forbidden Room, which screens at the upcoming NYFF). He actually anchors the dramatic section rather effectively with his tragic Teutonic dignity and uncharacteristic reserve. In contrast, Otto Kuhnle does plenty of shameless mugging as Uncle Emil, but it is not wholly inappropriate given the context—Mack Sennett surely would have approved. The passion for cinema shared by Wenders, his collaborators, and his subjects comes through in each frame. There is a sense of wonder in Trick that is quite appealing—even playful. While not silent itself, it still makes the Silent Era much more accessible. The use of old school cameras might be a bit of a gimmick, but it certainly gives the film the right look and feel. 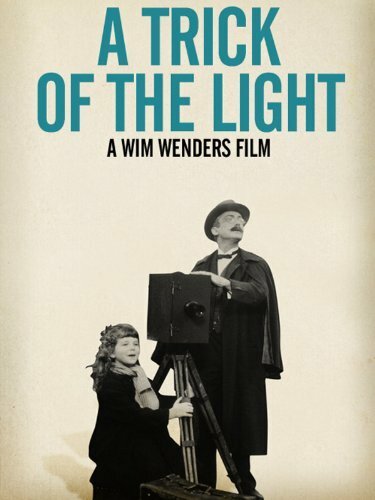 Warmly recommended for fans of Wenders and silent movies, A Trick of the Light screens for a week at the IFC Center, starting this Friday (9/18).